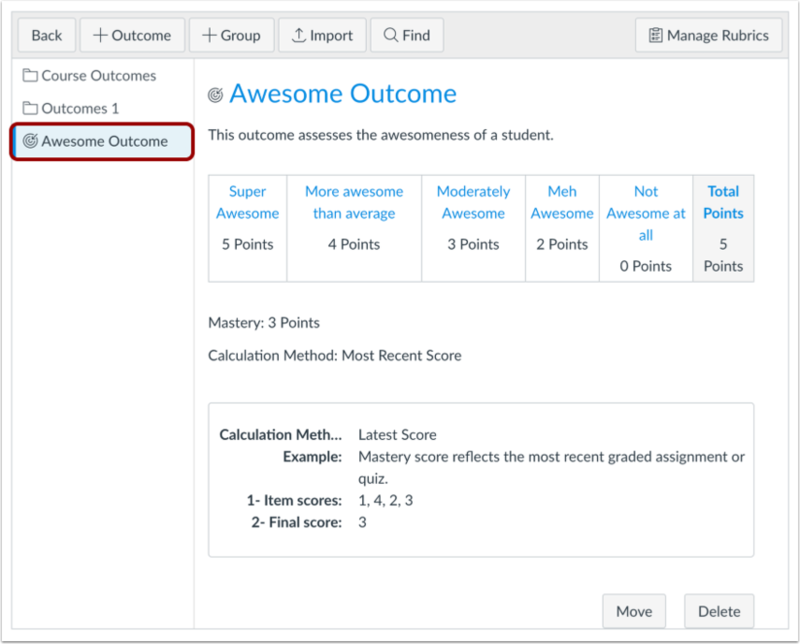 All Outcomes added at the account or sub-account levels are available to you as an instructor. 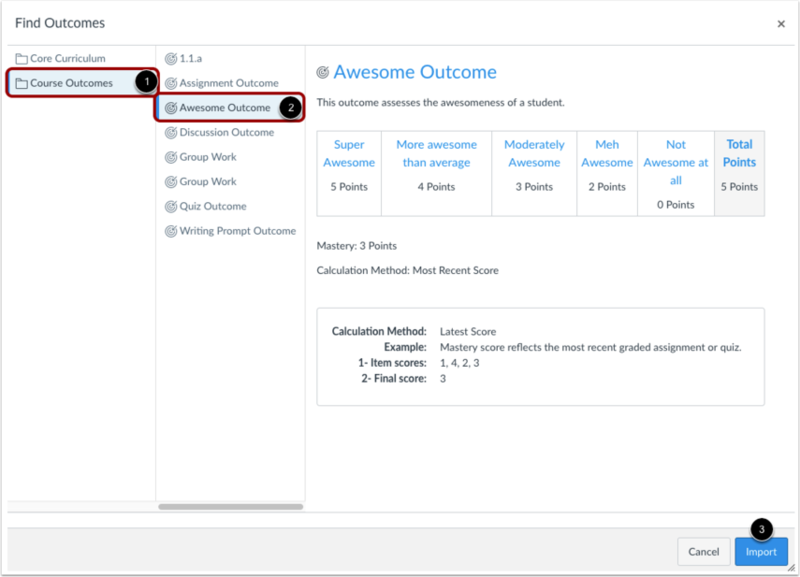 You can find and import Account Standards, which are outcomes that have been created by your Canvas Administrator for the entire institution. You can also find State and Common Core Standards. You can import an individual outcome or import an entire outcome group. 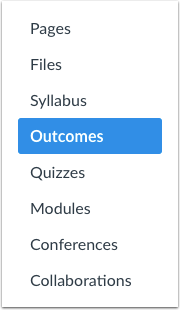 Select the name of an outcome group to view available outcomes . You can also view outcome groups within other outcome groups. When you have located an outcome, click the name of the outcome you want to import . Click the Import button . Note: You can also import an entire outcome group. Outcomes and outcome groups are imported to the main outcome level; learn how to move outcomes or outcome groups. Previous Topic:How do I move outcomes and outcome groups in a course? Next Topic:How do I align an outcome with a question bank? Table of Contents > Outcomes > How do I find an existing outcome to add to a course? Re: Are the College Board Learning Objectives Available in Outcomes?